Jordan Peterson frequently recommends that people read Alexander Solzhenitsyn's The Gulag Archipelago. Many people consider the book to be the most significant piece of literature produced in the 20th century. 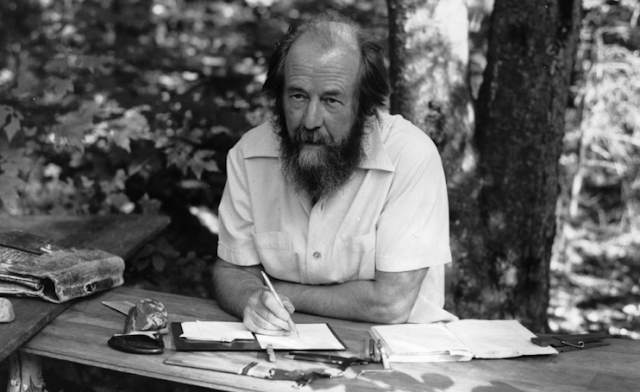 The Gulag Archipelago was published in 1973, against the efforts of the Soviets to prevent it. They arrested and tortured Solzhenitsyn's typist (an elderly woman) until she revealed where the manuscript was. After they released her, she committed suicide. At one point the KGB attempted to assassinate Solzhenitsyn. The book was a bombshell when it was published. It laid bare the human atrocities of Soviet Communism. It told the truth about millions of Russians who were murdered or enslaved, and died in the prison camps. 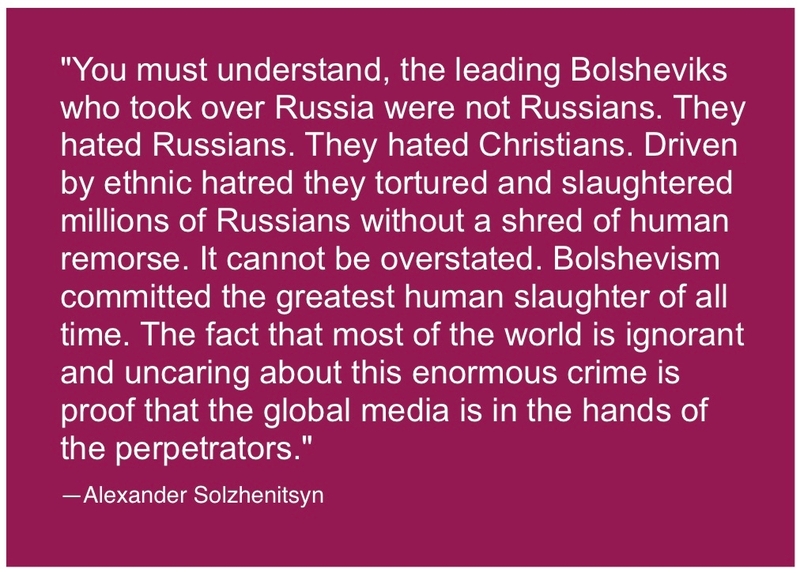 Solzhenitsyn wrote from his own experience and from the experiences of other innocents who were falsely accused of crimes, forced to sign confessions, and sent into the archipelago of gulags throughout Russia. The Gulag Archipelago stopped all the European and American communist efforts dead in their tracks (but didn't kill them for good). It exposed Marxism as the morally depraved and dangerous ideology it is. It soon led to the downfall of the Soviet Union and its grip on Russia. The book was that powerful, and Solzhenitsyn was a remarkably brave man. I am reading The Gulag Archipelago now. The writing is not hard to understand, but the realities of the gulag system are hard to deal with. The depravity of human psychopathy taken to its extreme is always hard to digest. I do not read fiction horror, and this book is non-fiction horror. As such, it is worse. But I feel compelled to read this book because it tells the truth. I am also reading the biography, Solzhenitsyn: A Soul in Exile. I am enjoying the book very much (almost done with it) because it not only tells the life story of Solzhenitsyn, it reveals his journey from Soviet-indoctrinated atheist to Christian, and it is the Christian Solzhenitsyn that stands resolutely against the brutal Soviet empire. Many of his closest friends desert him when he reveals his deep Christian faith, but still he stands. 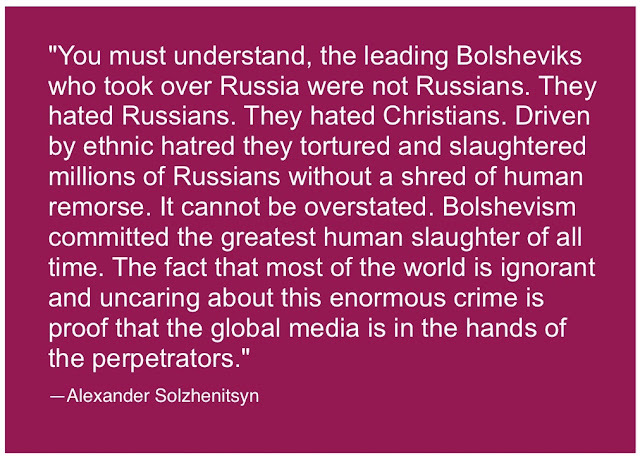 Solzhenitsyn is the ultimate example of speaking truth to power. The biography also explains Solzhenitsyn's disdain for the West. He recognized that the West was morally weak, and socially vulnerable. He resisted the political ideology of Right and Left politics. He didn't toe the line in either camp. Both the Right and Left despised him. Solzhenitsyn's political beliefs were surprisingly Jeffersonian. He rejected the economic and social fruit of materialism and industrialization. He believed in decentralized government. He advocated private land ownership, and a return to some form of Russian peasantry, like the Soviet system had so effectively destroyed. He advocated responsible stewardship of the land and natural resources. I dare say he was very much a Christian agrarian. The media almost always misrepresented what he said. They reported his comments out of context. They twisted his words to mean things that he never meant them to mean. He eventually stopped talking to the media. He would speak to the world through his books. I hope to say more about Alexander Solzhenitsyn in future blog posts here. He was a truly remarkable man. Jordan Peterson is correct in recommending The Gulag Archipelago. Solzhenitsyn has much to teach us—lessons he learned the hard way. Elizabeth L. Johnson said, Wow. Thanks for this article. And a judge just came out 2 days ago in favor of repealing the second amendment! I'll be 'sharing' this on Levi's fb. Fantastic book and a must read.